Recent reports of 621 coal plants being constructed worldwide are wildly inaccurate, according to a recent Guardian article. 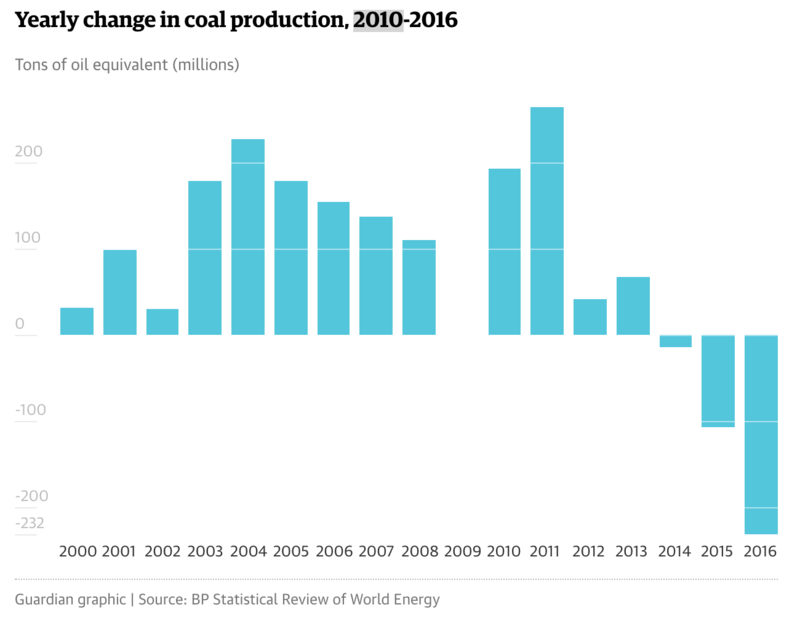 What’s more, the amount of electricity produced by coal globally has fallen each year since 2013. The figure, which came from a parliamentary assessment based on out-of-date and unreliable data, was then further distorted as it was misreported to refer to power stations, rather than coal-fired power units (smaller modules, several of which make up one power station). A look at the most up-to-date figures from the well-respected Global Coal Plant Tracker database run by US-based CoalSwarm, shows that in July construction was only occurring at 300 coal plants worldwide; 183 new power stations and 117 extensions of existing plants. On top of this, big coal players such as China and India are cancelling several planned construction efforts due to many plants currently running as low as 43% capacity. Whilst Australia decides whether or not to subsidise Adani’s controversial export coal mine in Queensland, many of India’s domestic plants are struggling, including those owned by Adani. The Guardian seems skeptical about whether these more accurate and up to date figures will be widely reported, given the way that the false figures were propagated by the majority of the press and several pro-coal public figures. However, for those willing to look at the facts, its clear that the world is beginning to say farewell to coal. 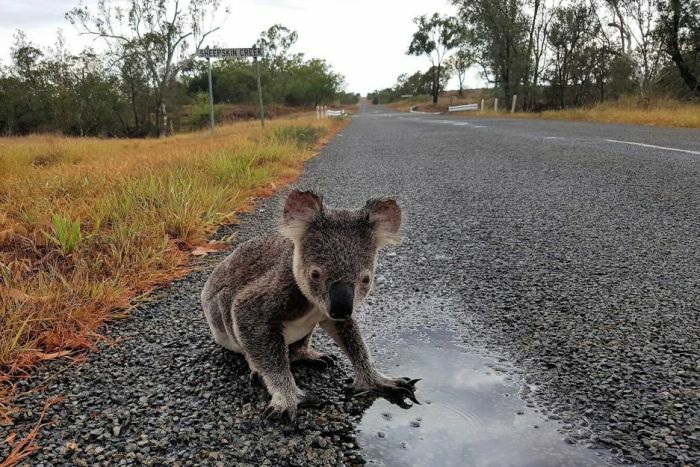 A new international study published in the journal Nature found that Australia is among a group of seven countries who are causing around fifty percent of global biodiversity loss. Using measures from the International Union for the Conservation of Nature (IUCN) red list, the study calculated that Indonesia has the worst record, accounting for 21% of global biodiversity loss, with Australia coming in second. The other main offenders were Papua New Guinea, Malaysia, China, India, and the United States (largely due to Hawaii’s influence). The study also showed that biodiversity loss has a direct relationship with government spending on conservation efforts (or lack thereof) as well as other ‘human development pressures’ such as economic, agricultural and population growth. Conservation spending is inversely proportional to biodiversity decline. Between 1996 and 2008 the 109 countries who signed up to the Convention on Biological Diversity and Sustainable Development Goals were able to reduce biodiversity loss by 29% per country through conservation investment. In order to help policy makers decide how much to spend on conservation investment in order to reach specific conservation goals, the authors of the study have developed a model which predicts the effects of conservation investment when combined with varying levels of human development pressures. Given that the study also found that the effects of conservation funding are reduced as human development pressures increase, it is likely that conservation investment in Australia will not only need to ramp up in the short-term, but also increase over time to meet the increasing demands of agriculture and population growth. A large area of land in north-west Tasmania has been returned to the local Aboriginal community thanks to a donation from the founder of travel website Wotif. 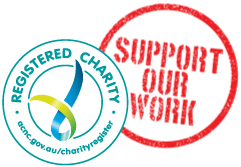 See Starfish’s latest newspost for more details. 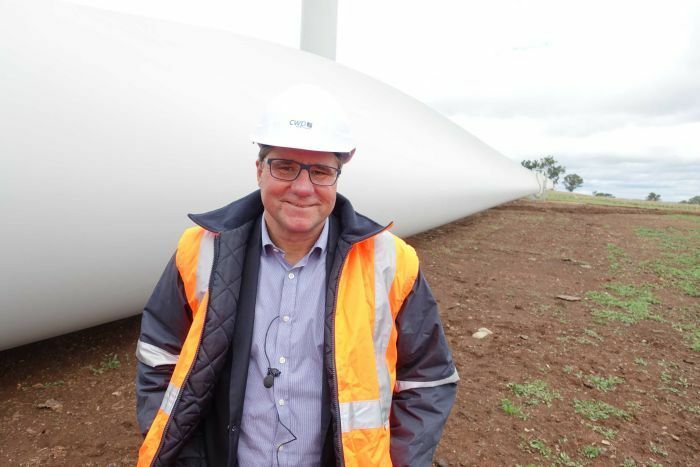 Glen Innes is at the centre of the renewables revolution according to a recent ABC news article, which highlights the Sapphire and White Rock wind farms. Both are being constructed close to the town due to the ideal combination of high winds and grid connectivity found on this part of the Great Dividing Range. Goldwind, who are responsible for White Rock wind farm, have also started construction of a 70,000 panel solar farm in the area making the town a genuine renewable energy hub. The developments have brought a huge boost for the local economy. Some of the 30 farmers on whose land the new turbines are being built have declared that it is helping them to drought-proof their businesses. What’s more, local businesses are employing more staff to deal with the influx of construction workers who are now spending money in the area. Alex Hewitt, MD of CWP Renewables says the company is looking to invest over $300 million in renewables projects in NSW over the next four years. Starfish is collaborating with Sapphire Wind Farm, which will be the largest wind farm in NSW, to pioneer a community investment project. This would give community members the chance to capitalise even further on the development by investing directly in the wind farm. For further information and to show your interest complete the Community Investment Survey here. Starfish’s is also work to develop a community-owned wind farm for the region, called New England Wind. This is a longer-term project, with a large amount of work required to secure a viable site and successfully put the project together ~ hence the excitement at Sapphire’s community investment, which, all going well, will happen in the short-term! A new Innovation Index maps which areas of Australia contribute most to new business and where input is needed to unlock the huge potential of rural areas. The Rural Australia Institute, along with Bendigo and Adeleaide Bank, have developed the index based on a new measure of innovation – business dynamo – along with the more traditional r&d and science measure. These two measures, when viewed in tandem, give some interesting insights into which areas are producing the most innovation and why. For example, although major cities are the most productive innovators, this is largely due to the fact that they are home to 174 out of the around 200 research and development institutions which exist nationwide, and therefore attract the majority of research and development investment and funding. Although many regional centres score low on the index for research and development, 110 score highly for business dynamo; think lifestyle locations such as the Sunshine and Gold Coasts and Busselton (WA) as well as regional entrepreneurial centres like Griffith (NSW) and Ballarat (Vic). The producers of the index suggest that improving the research and development capacity of these areas could unlock untapped potential. Conversely, there are a number of regional centres, mainly mining and mineral processing hubs like Whyalla (SA), Mt Isa (Qld), Muswellbrook and Singleton (NSW Hunter Valley), which score highly for research and development but are lacking in business dynamo. There are 49 local government areas like Hobart (Tas), Palerang and Yass Valley (NSW/ACT), Queenscliff (Vic), Toodyay (WA) and Darwin (NT) that score highly in both measures of the index, i.e. there is a strong local business network along with a high rate of trademark applications. This suggests that businesses in these regional centres are innovating successfully. Read more ~ Learn more about the Innovation Index results. A fifth generation NSW farmer, Charles Massy has always had an intimate relationship with the land he works. But his experience of the drought years, earning a PhD in human ecology as a mature student and listening to the wisdom of his Aboriginal friends has convinced him that the white man’s ‘mechanical mind’ understanding of natural systems is severely flawed. Farmer Charles Massy at Severn Park, the NSW property his family has farmed for five generations. Massy is the author of Call of the Reed Warbler: A New Agriculture – A New Earth, in which he makes a poetic as well as scholarly case for a revolution in the way we think about the soil beneath our feet. He links the widespread use of glyphosphate (Roundup) to a whole slew of autoimmune diseases and disorders such as Autism and ADHD, which he says are intimately linked to immune function and therefore gut health. Glyphosphate is disrupting the balance of natural ecosystems according to Charles Massy. Massy believes that healthy soil equals healthy, nutrient rich food, and he has therefore become a practitioner and vocal proponent of biodiverse planting and holistic grazing, which have transformed the ecosystems on his farm. But it’s not just the benefits to humans that interest Massy. He would like to see humans get out of the way of nature and let the ‘self-organising regulating system’ of the Earth recover equilibrium. For an example of how this can be done in the unique Australian landscape he points to pre-colonial times and the way Aboriginal people nurtured and nourished the land and lived in “one of the greatest ever sustainable partnerships between humankind and the ecosystems they occupied”. Climate change was chosen as the top concern by nearly half of participants in the World Economic Forum’s Global Shapers Survey 2017. The survey included over 24,000 young people who responded in 14 languages. The majority of participants also agreed that humans are responsible for climate change. The Global Shapers Forum is a network of young people under the age of 30 which sprang out of the World Economic Forum. This collective of dynamic, inspiring young people is driving global change through a diverse range of grassroots projects in cities across the world. 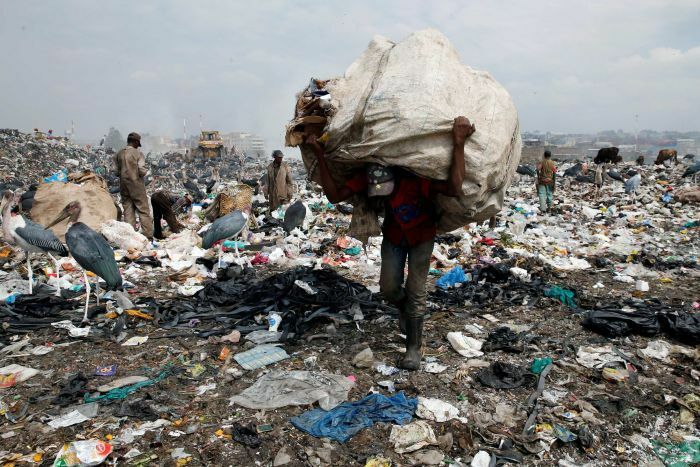 In the toughest crack-down on single-use plastic yet, the Kenyan government has introduced a countrywide ban on the production, sale and use of plastic bags, with penalties of up to four years’ jail or fines of up to $US40,000. There are also concerns that cattle are now routinely arriving at Kenyan slaughterhouses with up to 20 plastic bags in their stomachs. Plastics eaten by fish and animals then make their way into the human food chain. 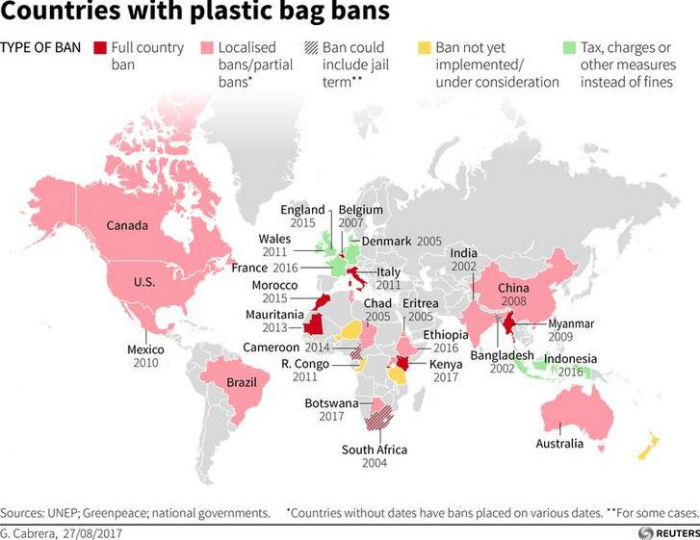 Forty other countries have introduced some level of plastic bag ban, and although Kenya’s is potentially the harshest, Environment Minister Judy Wakhungu points out that bag manufacturers will initially be the main targets of enforcement. The Social Progress Index has been developed to provide accurate and detailed data on fifty social and environmental outcomes, in an effort to improve upon traditional, purely economic, measures of success such as GDP. These fifty outcomes are grouped into three main ‘dimensions of social progress’: Basic Human Needs, Foundations of Wellbeing, and Opportunity. The 2017 Index, which was released in June, shows Denmark as the country having the highest overall social progress, with Australia coming in joint 9th along with New Zealand. 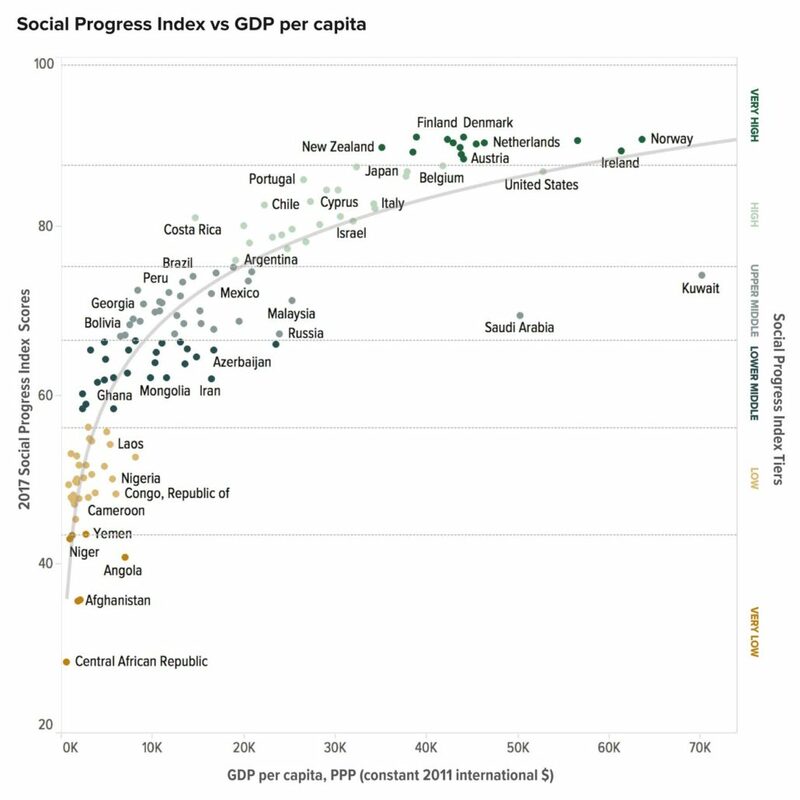 The above graph of social progress relative to GDP shows that there is a lot of ‘noise’ around the trend line, meaning that statistically, GDP and social progress do not necessarily go hand in hand. This is particularly true once countries reach a certain level of GDP, where the curve begins to level out and further increases in GDP produce little or no improvement in wellbeing according to social indicators. This is why its creators believe that the Social Progress Index is important, because GDP as a measure leaves out so many factors which influence human wellbeing, such as environmental sustainability, freedom from discrimination and access to education. Accurate data on how communities are performing in different areas gives leaders the ability to take a more strategic approach to improving quality of life by prioritizing their investments in areas of greatest need, just as having accurate measures of GDP helped the US government to lift itself out of the Great Depression in the 1930s. 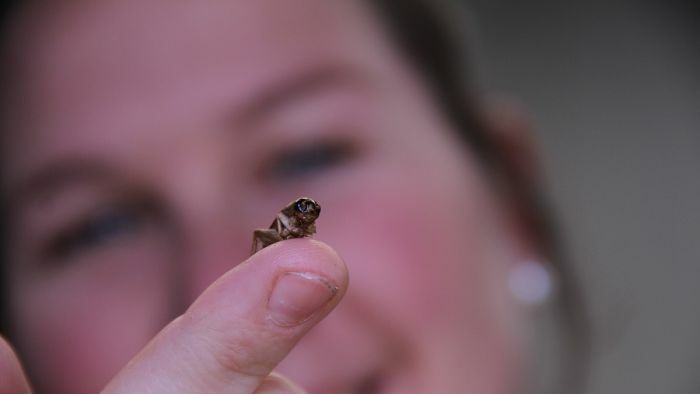 WA entrepreneur Paula Pownell has been given the go-ahead to start selling the crickets, grown by her business Grubs Up Australia, as food. Although public interest and support for her project has been high, Paula expects her innovative ideas for processing the bugs, such as protein powder and bars, to go down better than whole crickets. This Perth Science Fair attendee seems to agree. Several countries, such as Canada, America and Vietnam, have already adopted crickets as the food of the future due to the ease of producing them and their sustainable life cycle. Ms Pownall uses a vertical farming technique to save space and feeds her crickets on fruit and vegetable scraps, turning all of their manure into fertiliser. “We go from hatching to harvest within six to eight weeks and within that time we have pretty much a zero waste system,” she said. She hopes to gain interest from the fitness market for her products, due to the high protein content of crickets, claiming that they contain 69% protein, in comparison with most proteins on the market which are only contain around 30%. They also have 9 essential amino acids and are high in Folate and Vitamin B12. Ms Pownall has an agricultural background and also plans to look into the potential of crickets to be used as animal feed.